After two years of providing subscribers with access to acclaimed international and independent movie classics, FilmStruck has been shut down by WarnerMedia. Unsurprisingly, the news has not gone over well on social media for devoted cinephiles. Owned by Turner Broadcasting System, FilmStruck launched on November 1, 2016. In the beginning, the streaming service featured 500 titles, and later acquired the Warner Archive Instant library in April 2018, thus creating more momentum and interest while ultimately offering over 1,000 titles from The Criterion Collection. With the vast amount of content in the core FilmStruck library, including the titles featured on “The Criterion Channel”, the service became the go-to option for people looking to expand their knowledge of world cinema, or simply looking to rediscover older and hard-to-find classics. On social media, FilmStruck has been especially popular in 2018 by announcing new themes each and every Friday, with today’s thematic focus centering on French director Jacques Tourneur, English actress Jacqueline Bisset, and emerging filmmaker Celia Rowlson-Hall. Related: What’s Next In Netflix’s Future? Per Variety, Turner and Warner Bros. announced FilmStruck’s impending shutdown (November 29) but didn’t comment about the number of employees being let go. In a statement, executives acknowledged the “very loyal fanbase” but noted that FilmStruck is “largely a niche service”. Earlier this month, Turner cancelled Super Deluxe (a network that featured edgy short form videos) and also DramaFever, a VOD service that featured Korean dramas. Per FilmStruck’s Twitter account, current subscribers should visit the official website for refund information. In January 2018, Turner introduced FilmStruck Curazon, thus expanding the brand by offering subscriptions plans in the United Kingdom. 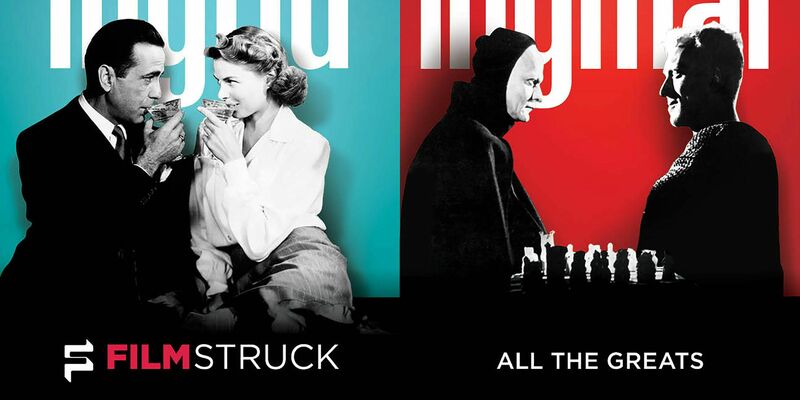 FilmStruck was reportedly set to expand in other countries, making the company a viable and logical streaming option with price plans similar to Netflix, Amazon Prime, and Hulu, along with arthouse-themed services like Fandor, Mubi, and even the horror-centric Shudder. On social media, film critics and subscribers have expressed their strong opinions, with RogerEbert.com’s Matt Zoller Seitz questioning why the parent company couldn’t find a way to sustain the service, and TCM and FilmStruck host Alicia Malone referencing the movie brand’s “pure desire” to support arthouse cinema. While many subscribers are shocked by shutdown itself, film critic Emily Yoshida expressed concern about Turner’s admitted plan to “redirect this investment back into our collective portfolios” – a harsh truth to process for global cinema supporters everywhere. FilmStruck’s shutdown is especially significant given that educational resources and bonus materials won’t be as streamlined and accessible, at least in the immediate future. But if subscribers continue to campaign for FilmStruck‘s survival, WarnerMedia might just feel inclined to re-strategize. Next: How Scary Is The Chilling Adventures of Sabrina?